Not knowing how or why I went in search of the list of victims, and looked for a Jane. This year I have found Jane Ellen Baeszler. STATEN ISLAND, N.Y. — Jane Ellen Baeszler made it her first priority on Primary Day, Sept. 11, to be out at a voting booth. At age 43, the lifelong Randall Manor resident had recently become politically active. A volunteer for the campaign of City Council hopeful Michael McMahon, Ms. Baeszler had planned to spend that evening waiting for the voting returns with her brother, John, also a campaign volunteer. Her mother said “”My son talked to her about 7:30 that morning because they were hoping to meet after work, hoping that Mike McMahon would win and they would go out to celebrate. That was her thought for the day,” added Mrs. Baeszler. Ms. Baeszler is currently among those listed as missing. 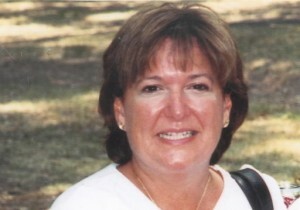 She has not been heard from since the attacks that leveled the Trade Center. She enjoyed needlepoint and music, and was an avid reader. This year I will be thinking of these two women who have the same name as me. I will pause and consider the lives the led, the dreams they may have had. The hopes and wishes that were cut short through the events of 11th September in New York City. I found this memorial and thought it very poignant. Tomorrow, 9/11 New York time, we will publish an article from Mark, a resident of New York’s Staten Island. He is our newest Team Writer.